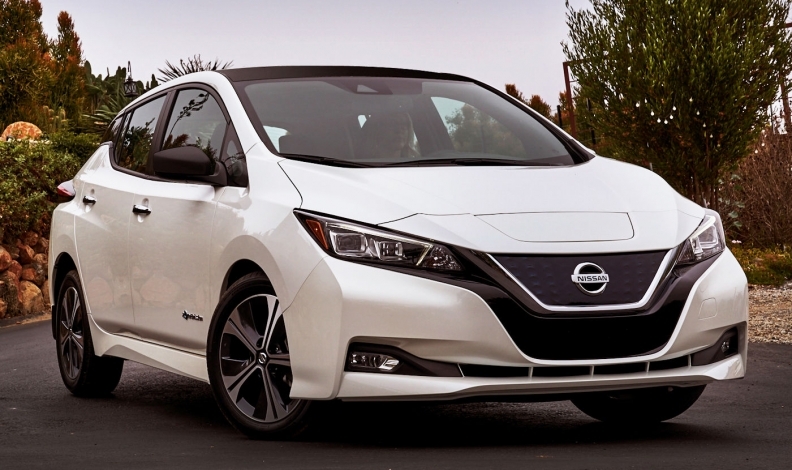 Nissan Leaf sales in the U.S. edged up 2.8 percent to 10,953 deliveries through October of this year. DETROIT -- Pure electric vehicles will not begin to gain serious traction in most global markets until after 2025 and will likely account for only 14 percent of total global vehicle production by 2030, according to a study released on Thursday by Boston Consulting Group. By then, the study's authors said, improved battery technology, lower costs and government mandates will drive greater consumer demand for EVs, which this year will account for less than 1 percent of the nearly 100 million vehicles sold worldwide and only 6 percent by 2025. "Eventually, we'll reach a point where we don't need incentives anymore" to boost EV sales, said Xavier Mosquet, BCG senior partner and lead author of the study. By 2030, Mosquet said, EV demand will be driven by market forces, not regulation. Republicans in the U.S. House of Representatives have already proposed eliminating one of the biggest EV incentives, a $7,500 tax credit, which could hurt automakers such as General Motors, Tesla and Nissan that are selling large numbers of those vehicles. BCG expects battery costs to fall rapidly after 2020, to as low as $80 per kilowatt-hour by 2025, compared with about $150 today and more than $650 in 2010. Total operating costs also will drop, BCG said, until the cost of owning and operating an electric vehicle over 10 years will fall below that of a comparable combustion-engine vehicles by 2021. In addition, more stringent environmental targets in many countries will push vehicle manufacturers to add some form of electrification, including hybrid electric-gasoline powertrains, to reduce exhaust emissions after 2020. Even as costs drop and more advanced technology is introduced over the next 12 years, BCG said it expects 86 percent of new vehicles to continue using some form of combustion engine by 2030. Mosquet said a gradual shift to ride sharing in big cities and larger metropolitan areas, especially in the United States, will drive demand for EVs, in large part because the shared vehicles will accumulate miles more rapidly and thus narrow the gap in operating costs with combustion-engine vehicles. Likewise, a shift to self-driving vehicles, particularly in ride-sharing fleets, will boost EV demand after 2025. The cost per mile for a battery-powered self-driving vehicle could drop as low as 74 cents by 2030, making such vehicles less expensive than those with combustion engines, BCG said.